Calgary, AB - Alberta's first class of Bachelor of Midwifery students graduated from Mount Royal University (MRU) on Thursday, June 4, 2015; but, the mothers of Alberta will not be able to see the full benefit of this service. Eight graduates have invested themselves into realizing the dream of becoming registered midwives and providing quality maternity care to the families of Alberta. Unfortunately, the existing system of maternity care funding, which for years has been a barrier to women seeking midwives, now means the Alberta tax dollars invested in training the new midwives will not stay in Alberta. Four of the eight MRU graduates have been either forced to leave the province to find permanent work or are without a permanent position, while those staying in Alberta have only temporary or part-time positions. Midwives reduce the patient-care load of busy obstetricians who are in great demand for high-risk births and mothers with health concerns. Midwifery offer the option of home or birth centre births for low-risk women, freeing up space in crowded hospitals and providing the greatest cost savings to the provincial health care budget. Midwives also have hospital privileges in major centres; giving families the option of birthing near technology should it be required, while supporting physiologic birth with minimal intervention. Midwives currently deliver 4% of the babies in our province, compared to BC and Ontario where this number is much higher at 14 to 16%. 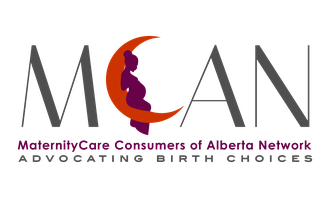 Based on a $1200 cost savings for a midwife-assisted birth, and the approximate 58,582 babies born in 2013/2014 in Alberta, the Alberta government could save $7 million dollars per year by more adequately supporting midwifery care for families who want it. Currently, while midwives are funded through Alberta Health Services and capped, physicians providing maternity care are funded through Alberta Health and without a cap. This systemic barrier to midwifery means many women are left with little option but to see a physician for maternity care. With a growing population, overworked maternity units in hospitals, and long waiting lists for midwifery care, Mount Royal University's new program for midwives was meant to be our province's very own active solution to these very issues. The graduation of these new midwives is a reminder that Alberta needs to listen to stakeholders and take action to utilize health care dollars efficiently and effectively to provide the high-quality care that families are seeking. We look forward to positive changes in our maternity care system so that current and future MRU grads will be without question, able to work in their province of training, serving Alberta families who are eager to receive their care.